COURTENAY, B.C- Future ownership of the Comox Valley’s newly-announced seniors care centre isn’t a question that Health Minister Adrian Dix wants to deal with right now. 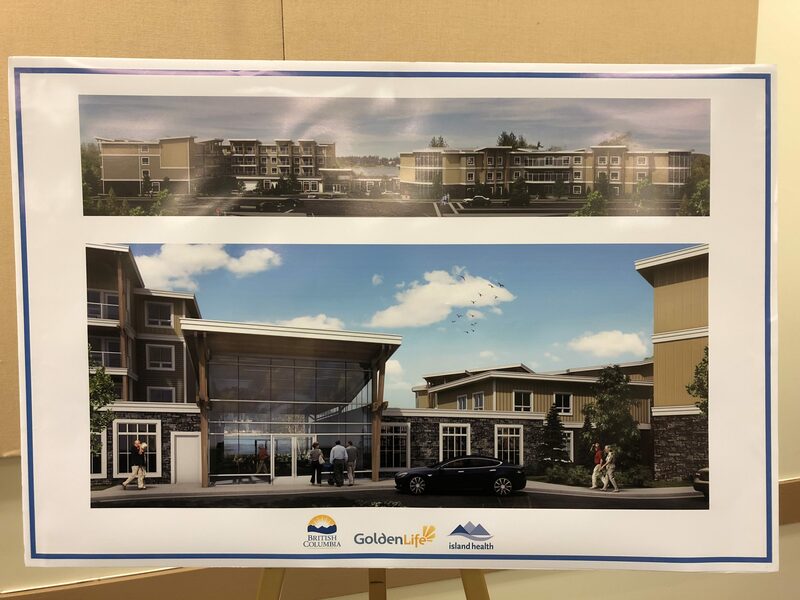 On Wednesday morning, a new long-term care facility was announced for the Valley, to be built by Golden Life Management Corp. in Courtenay. 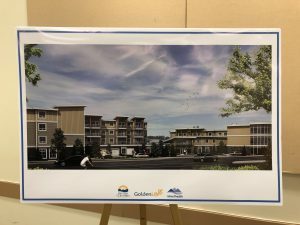 The $55 million complex will be constructed on a vacant lot at the intersection of 29th Street and Cliffe Avenue, along Courtenay’s shoreline. Island Health expects construction to start this year, with occupancy as early as 2020. Providence Residential and Community Care Society (an entity formed by Providence Health Care), will also take ownership of St. Joseph’s on April 1st, 2019 and has an agreement to work with Island Health on a potential campus of care redevelopment plan, according to a release from the province. The redevelopment would make the temporary 21 beds permanent and add up to 10 net new residential care beds. The hospice beds now in place would also be converted to respite beds. This is in addition to the replacement of the existing 116 residential care beds at The Views residential care facility. 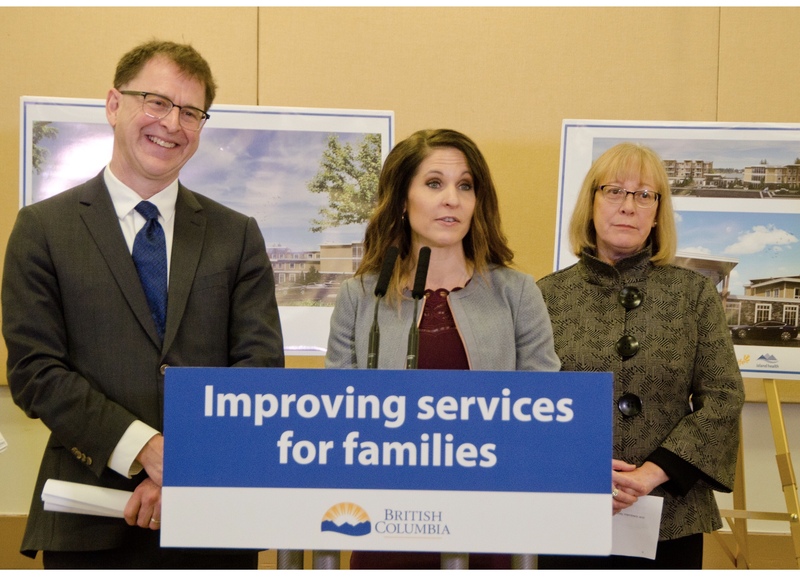 The announcement is good news for the Valley, which has suffered from a lack of adequate senior’s care beds for a number of years. However, questions were posed to Dix by members of the audience at the announcement about the possibility of the facility’s future sale. Those stemmed from concerns after the Chinese government took over Angbang Insurance, which owns Retirement Concepts, the largest retirement and senior’s housing chain in the province. Angbang had bought the company in 2017. 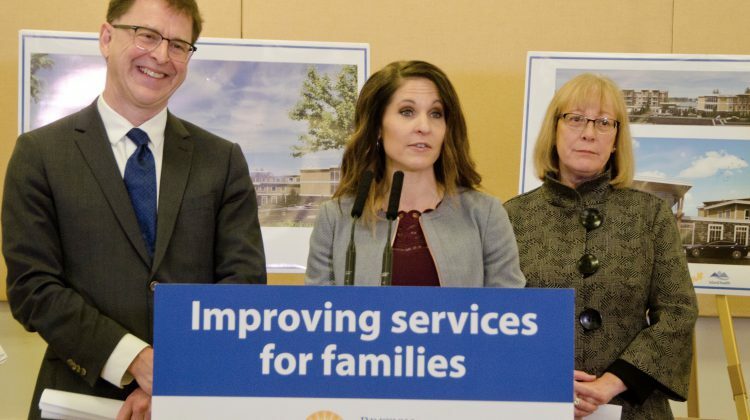 Asked the same questions while speaking to the press after the announcement, Dix stated that his job was to ensure standards are high when it comes to senior’s care. “We were concerned with the way the federal government handled previous efforts, but it’s their responsibility to handle that, and it’s our responsibility to make sure standards are high,” said Dix. He believed Golden Life is going to do a “great job” in the Valley, and did acknowledge that a sale could be possible in the future. “Companies are allowed to be sold,” said Dix. Asked what he would say if a sale took place in the next thirty years, Dix said that could be a good or a bad thing. “But here’s my position,” said Dix. He believed there would be public policy debate over foreign ownership of Canadian companies in years to come, at the federal level. “One thing I try not to do is I try not to spend a lot of time being critical of other levels of government,” said Dix. He ended by detailing the province’s areas of responsibility. “We control licensing, and regulation, inspection, decisions to fund the beds, those are things that we control,” said Dix. Dix also confirmed that medical assistance in dying (MAID) services will not be offered at the Providence facilities, due to religious exemption. Celeste Mullin, Golden Life’s vice president of corporate business, spoke at the presentation on behalf of the company. While she didn’t have exact dates for the start of construction, she indicated that the lot in question had been held by the company for the last few years. Asked about the possibility of a future sale, she stated that they had no intentions of selling. “For us, it’s about our family, it’s about our family reputation,” said Mullin. Mullin couldn’t say whether or not the company would make any legal guarantees against future overseas ownership. “Because I’m not focused on it and we have no desire to sell, it’s not something I truly look at, it’s not something I’m engaged in, because it’s not even in our mind as something that we’ve ever thought about, nor is it something that we’re looking at thinking in the future, so I don’t really follow that process, because that’s not where our mindset is,” said Mullin. She did state that they would be open to discussions with government on the matter in future. “As the government moves forward and they look at different legislations and regulations, I’m sure that they will be asking care providers to sit at the table and provide some input on what that could look like, moving into the future, so we’re open to having that discussion,” said Mullin. 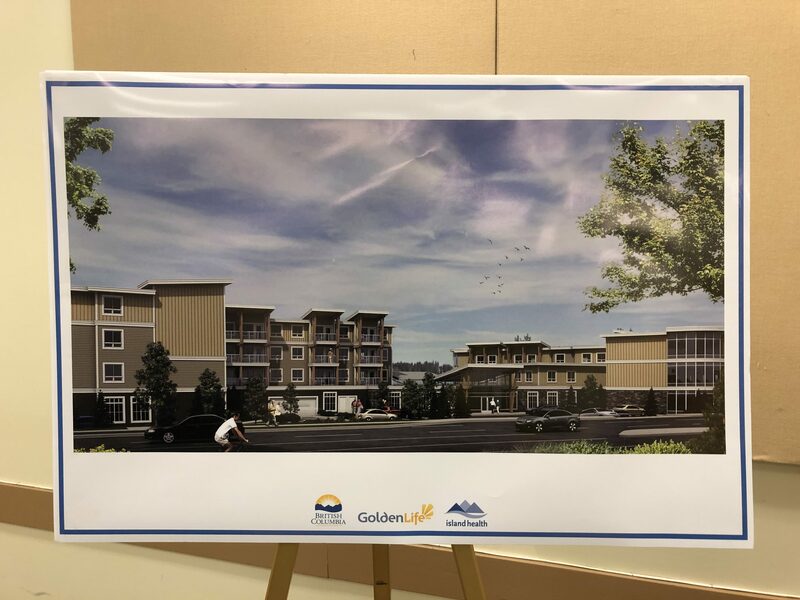 Mullin stated that the company would be approaching the City of Courtenay about their development plans the afternoon of the announcement, and indicated that construction and operation of the site will lead to a large amount of jobs. “There could be hundreds of trades, hundreds of people on site, at any given time,” said Mullin. More updates on the construction process are expected as dates are finalized.